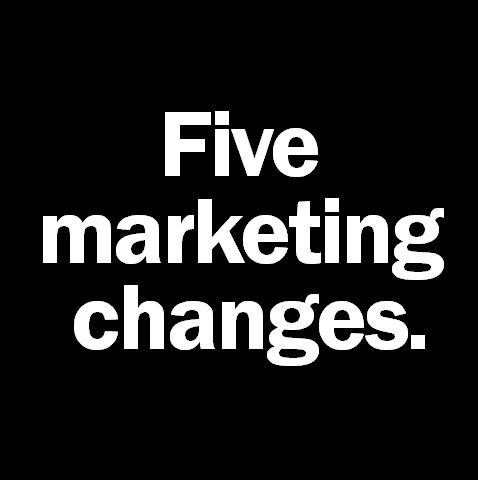 Two developments have changed marketing forever. One is the arrival of the Internet. And the second is the rise of global branding. Both of these developments have contributed to the revolutionary changes that have taken place in marketing since the turn of the century. (1) PR is more important than advertising. Consider the recent Presidential election. Hillary Clinton’s campaign spent almost twice as much on advertising as Donald Trump’s campaign: $1,184 million for Clinton and $616 million for Trump. Yet Trump won the majority of the electoral votes: 306 for Trump versus 232 for Clinton. It’s a different story when you measure the PR received by the two candidates. By most counts, Trump received almost three times as much publicity as Clinton did. Why is that? Because Trump was “controversial” and Clinton was not. Controversy makes news and news builds brands. (2) The category is more important than the brand. The soldiers, the tanks and the aircraft are the tools in a military campaign. But they are not the objective. The product, the packaging, the distribution, the brand are the tools in a marketing campaign. But they are not the objective. The objective is to conquer a category. Even worse from a branding point of view, is that a brand has little value outside of the category it stands for. Consider Nokia, a company that dominated the cellphone market with its Nokia brand name. So what did Nokia do when the market shifted from cellphones to smartphones? They did what most companies do. Nokia tried to use its cellphone brand name on its smartphones with disastrous results. That’s not what Apple did. When the computer market shifted from the home to the office, they didn’t use the Apple name. They called their office computers Macintosh. When Apple decided to get into the smartphone business, they also didn’t use the Apple name. They called their smartphone, iPhone. Every major global smartphone competitor used their existing brand names: BlackBerry, HTC, Huawei, Lenovo, LG, Motorola, Nokia, Samsung, Sony, and Xiaomi. Most marketing people are totally brand oriented. All they think about is what other categories they can conquer with their brands. That’s particularly true in global companies like Sony in Japan. Samsung in Korea. Tata in India. General Electric in America. (3) The name is more important than the strategy. What is surprising is that the executives who ran the company thought they could be successful using the RadioShack name. When was the last time you bought a radio without an automobile attached? No brand lasts forever. Times change and companies need to be in tune with the times. And one way to do that is to launch new brands to deal with changes in the marketplace. (4) The visual is more important than the verbal. For 65 years in a row, Heineken was the No.1 imported beer in America. Then Corona arrived with a lime on top of the bottle. Today, Corona outsells Heineken in the American market by 120 percent. That’s the power of a visual. (5) Multiple brands are more important than single brands. In the past decade, from 2006 to 2015, revenues at General Electric have declined 28 percent and revenues at IBM have declined 19 percent. The actual declines are even worse. In the past decade, inflation has caused the value of the dollar to decline by 16 percent. To develop a successful website, you need a new brand name. Take Walmart which launched Walmart.com in the year 2000. Today, more than 16 years later, Walmart.com accounts for less than 3 percent of Walmart’s total sales. And recently the company admitted its website strategy was a mistake by buying Jet.com, an Internet site that was launched in 2014, for $3.3 billion.